This is for my DT spot at Fitztown Challenge Blog (FCB) today. FCB is having everyone's favorite challenge, Challenge #27 - Anything Goes. I hope to see you over at FCB to play along with Challenge #27 - Anything Goes. Thanks for stopping by! what a cute and beautiful card Ema. 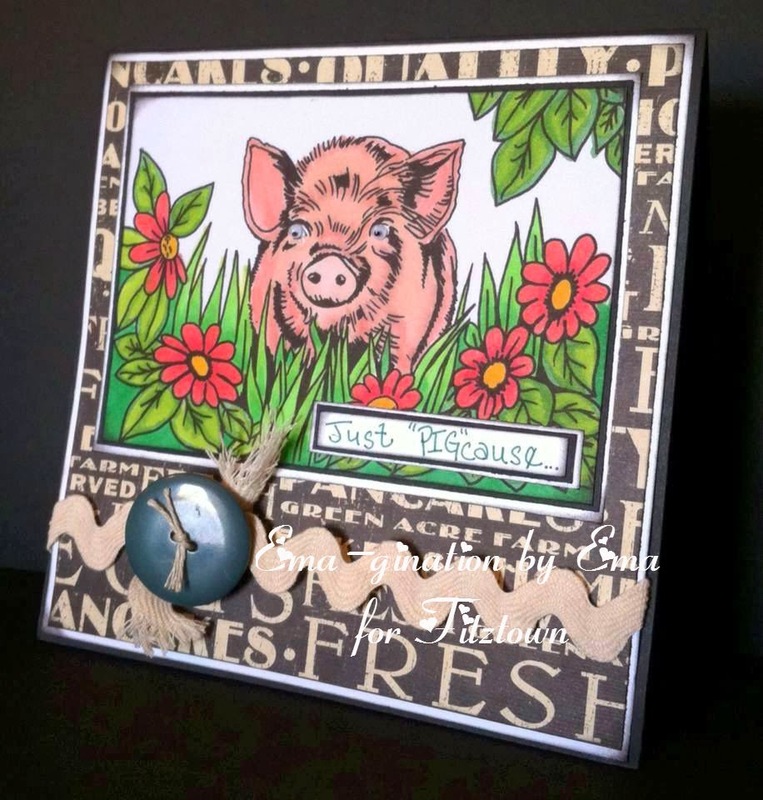 What a great piggy card here! What a fun card. Love your coloring. Thanks for linking up at Craftin Desert Divas!! What a fun card , wonderful colors !! Thank you so much for joining us at Pile it On Challenges !! Cute card, really made me smile. Thanks for joining us at HOC.